The Play Store is undeniably the largest app store and most Android devices have it preinstalled. However, Google’s mobile OS is also no. 1 in terms of popularity so there are also numerous Google Play alternatives for Android. Quite a few excellent apps are not available in the Play Store because of Google’s regulations and but they can be found in third-party app stores. Another reason why you might want to check out these alternative app stores is that Google Play is not exactly the most friendly when it comes to exploring apps so relying on third-party repositories might help you discover some interesting products. 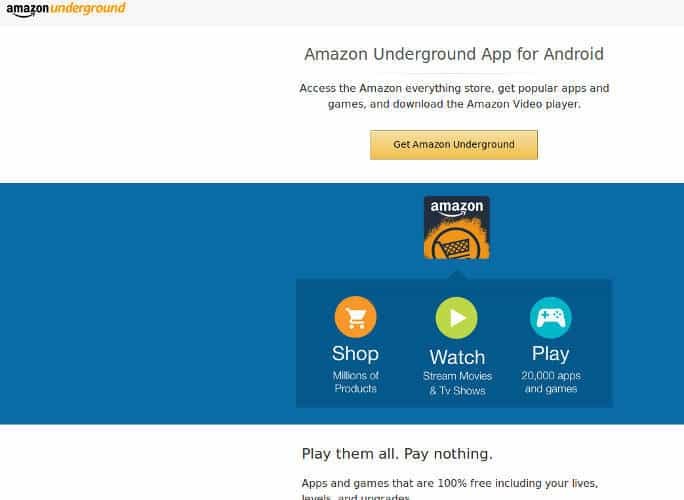 Some alternate app stores might have a small selection of apps to choose from, which is not the case with Amazon Underground. The Android app includes a large collection of free and paid apps, plus they always have great deals offering premium apps for free. On top of that, Amazon Underground provides a comprehensive selection of movies, books, and songs – perhaps larger than the one available in the Play Store, and often at better prices. GetJar goes way back before Android was developed. This is an excellent mobile downloads website that’s not limited to Android, although it has an amazing library for the OS. While there are plenty of Android apps and games to choose from, not all of them are regularly updated. 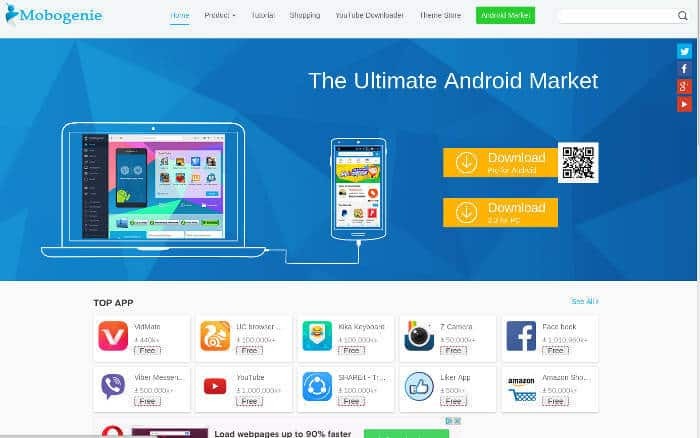 Mobogenie is also an app store with a huge selection of apps – you can explore it via the Android app or by installing the desktop software for PC. While Mobogenie’s app collection can also be found on the Play Store, it provides better ways to find and select apps so it’s an amazing exploration tool at the very least. 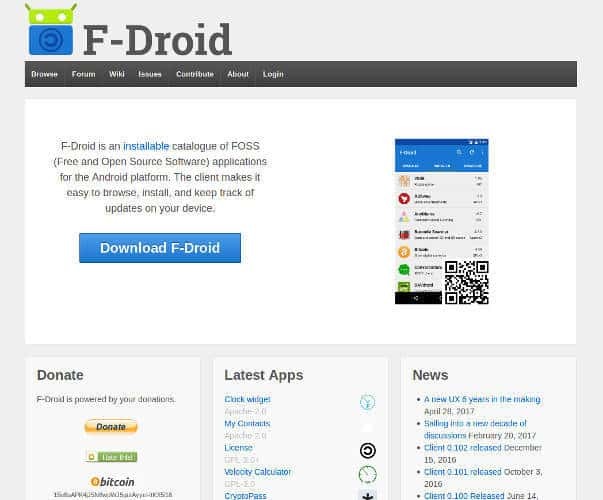 What sets F-Droid apart from other third-party app stores is it only hosts free and open-source apps. The site’s revenue comes from donations, so if you enjoy what this app store has to offer you might want to consider making a donation to support it. Some of the apps haven’t been updated for a while, and the selection is limited but there are still some great finds waiting for you to discover them. It’s also a great place to get open-source app code which can be further developed. 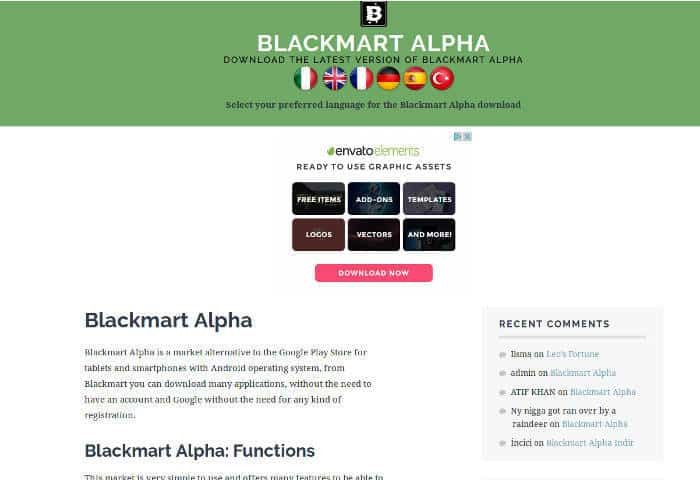 Blackmart Alpha will definitely please those who care about their privacy since this app store doesn’t require registration to download apps. The store provides only free apps and they always ensure they have the latest updates. Furthermore, Blackmart Alpha lets you download apps even if they’re not compatible with your device. This is amazing since many apps run just fine on unsupported devices but other app stores, including Google Play, don’t allow us to download them. 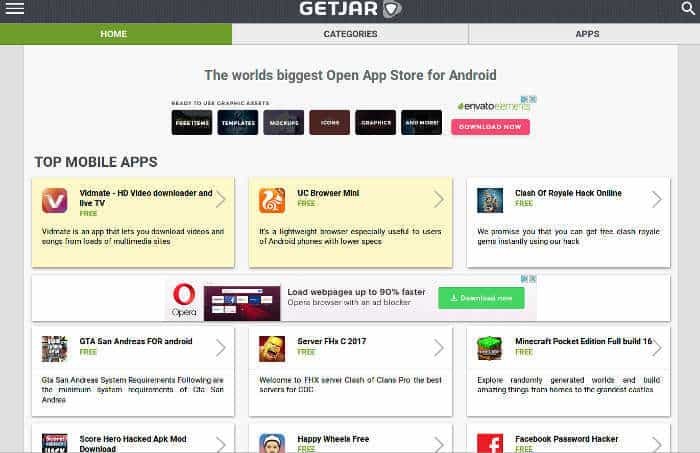 Getapk provides numerous apps neatly sorted into categories, also including sections for the latest apps and a top 100. It has some interesting, exclusive titles, although be careful if you find paid apps for free since those are cracked versions and not legally available to download without purchase. Getapk makes it easy to explore popular apps, as well as find new ones. It’s also worth mentioning the site occasionally displays pop-up ads so if those bother you be sure to have your ad-blocker enabled. There are many other Google Play alternatives for Android, but these are our favorite ones. 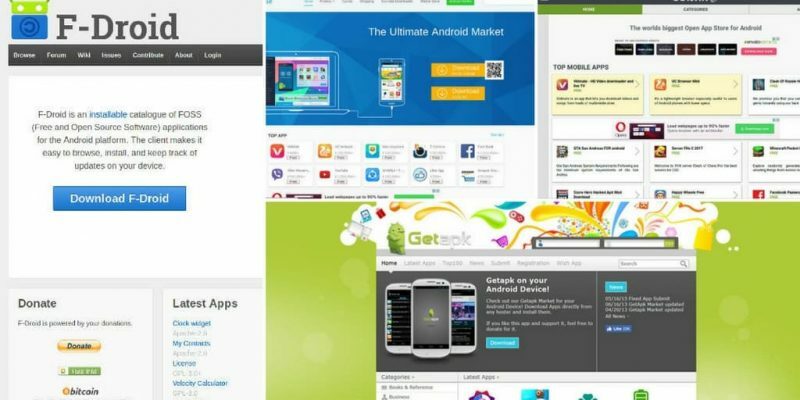 If you feel like exploring more of these third-party app repositories you might want to check other popular ones such as APKMirror, Aptoide, and Mobango.